Phindy's Place is a super adorable digi stamp store. Phindy's Place is offering a $10 Gift Certificate to the winner of this week's challenge. 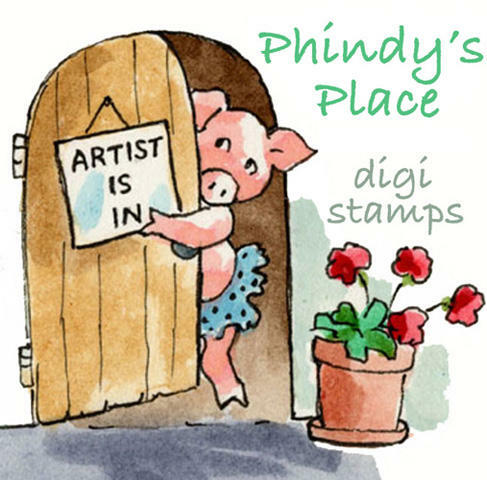 Here's a little about Phindy...Phindy's Place digital stamps is a new venture for children's book illustrator Philomena O'Neill (aka Phindy). For someone who has always drawn a lot of young children and animals, drawing digi stamps has felt like a natural fit for her. As a professional illustrator, Phindy draws her stamps as detailed and fully realized images. She sees her digital images as a collaboration between two artists - her own imaginative line work art and the crafter's talent and vision in coloring and embellishing that art to create a finished card! I used the Easter Joy Digi Stamp from Phindy's Place; PTI Stamps, Ribbon, Button, and Sentiment; and Spellbinder Nestabilities. 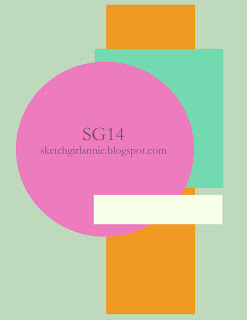 And our Sketch Girl Guest Designer for the month of March is the very talented Deanne Kuntz. 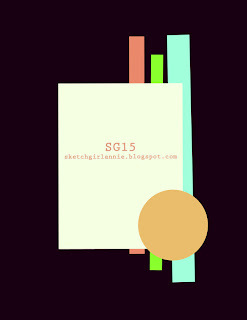 Link your card at Sketch Girl for a chance to win!!! This week at DCRU we are having a sketch challenge! 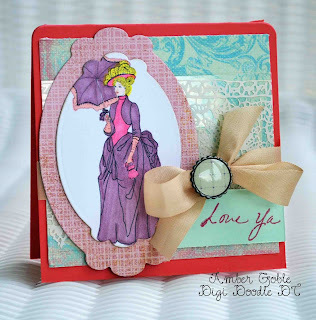 I just love sketch challenges, so much inspiration and I think it's always a surprise how your card will turn out. I have one idea in my mind and it ends up looking totally different. That's the fun of crafting! This week the DT used Moxxie Queen of the Crop Patterned Paper. 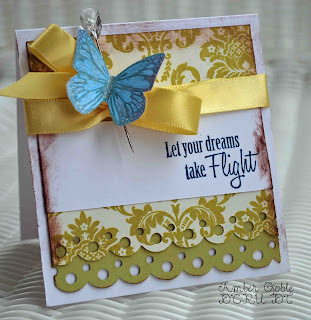 I used Moxxie Patterned Papers, Unity Stamps, Copics, and Spellbinder Nestabilities. Visit theDie Cuts R Us Store to see these products and a lot more! Visit the DCRU DT Blog to see this week's amazing creations from the DT! I used Hawaiian Shore Ink, Cardstock, and Ribbon...no wonder it's all I dreamed of! Are you ready for a new challenge at Paper Garden Projects!?! 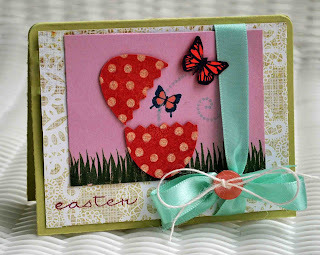 This week's challenge is to make a card, project, or LO and use embossing. This is one of my favorite cards ever. It was one of those cards that just came together and you love the finished product....and believe me this doesn't happen often! 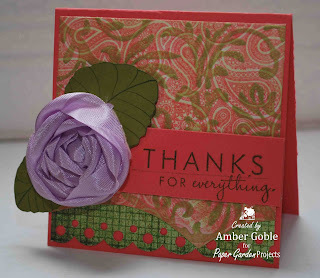 I used the Cover-A-Card Small Paisley Background Cling Stamp available at Paper Garden Projects. 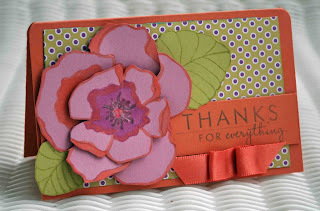 Background Stamps are so fun to use, I suggest trying it! First of all I stamped my paper using my background stamp. I decided to dry emboss because I stink at using embossing powder! I used my Cuttlebug and the Victorian Folder. I then ran a Papertrey Ink Spring Moss ink pad over the embossing. I love how the embossing looks against the background stamp. I handmade my flower and stamped some leaves and added my sentiment. 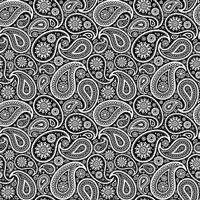 I also used Basic Grey Origins patterned paper available at the PGP Store. 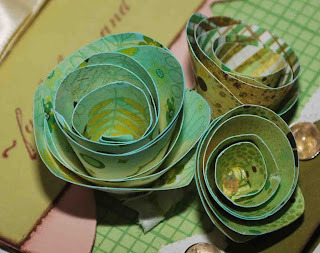 Visit the Paper Garden Projects Blog to see beautiful creations by the DT! 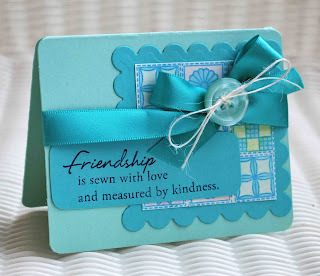 I have a card today that I made for Sharing Memories Scrapbooking. 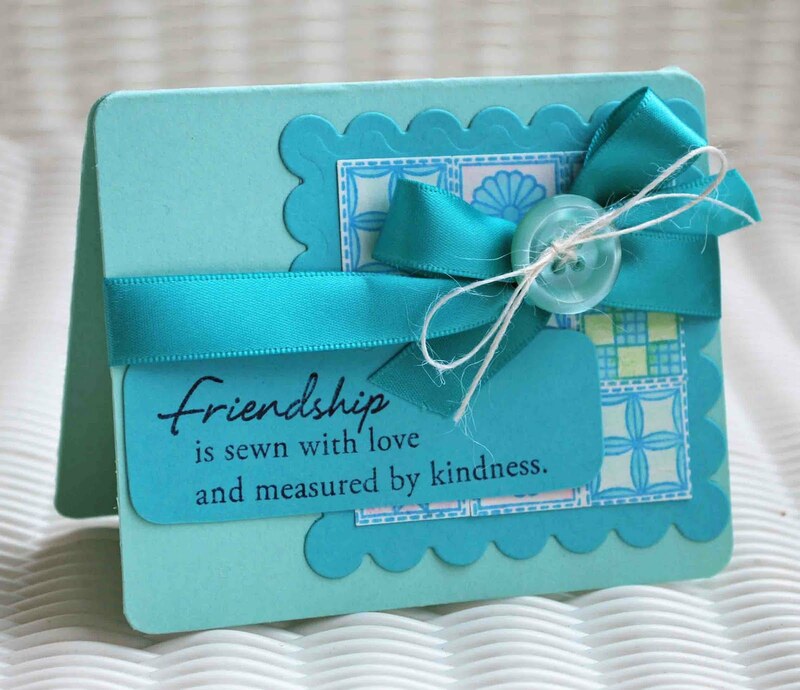 The store has the cutest digital downloads and embellishments! Visit SMS for loads of inspiration, from page plans to tutorials. 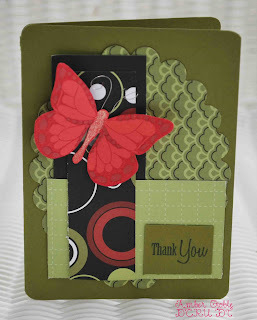 I used the beautiful Spring Cut-Outs, felt flower, and embossed butterfly from Sharing Memories Scrapbooking. 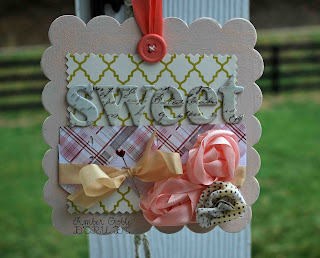 They were the perfect touches for my card and made creating so easy. 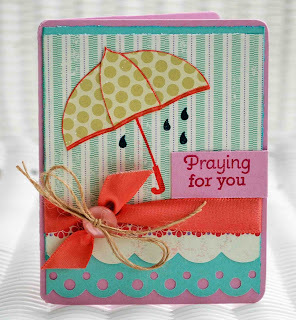 This week's challenge at Die Cuts R Us is a recipe challenge! Ready to check it out? I used Lucy Bird Patterned Paper, Mays Art Ribbon, Copics, Unity Stamps, and Spellbinder Nestabilitis that can all be found at the DCRU Store. I just love the Unity Stamps bicycle image! Visit DCRU to see the DT's beautiful creations!!! I have fun news to share this morning! I've been selected to be on the Digi Doodle Shop's Best Design Team. Digi Doodle's is a new digital stamp store and wait till you see some of the adorable digis! Visit the Digi Doodle Blog to meet the new design team. 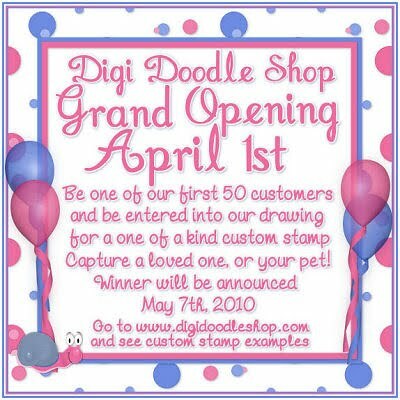 The grand opening of the Digi Doodle Store is April 1st. It's Friday and that means a new challenge at Paper Garden Projects. And we are having another terrific giveaway. 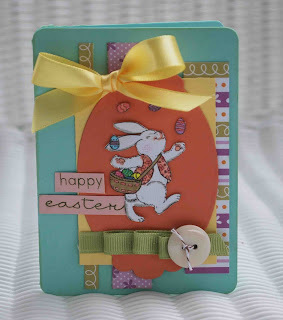 This week's challenge is easy peasy, make a card/LO/project and use Easter or Spring Colors. I'm sure you already have made a ton this Spring, so link them up at the Paper Garden Projects Blog for a chance to win 2 darling stamps. I used Basic Grey Sugar Rush Patterned Papers, Copics, Buttons and Prism Cardstock that can all be found at the Paper Garden Projects Store. Click to visit PGP Store to download the file. I've also opened at Etsy Store - Country Scraps. 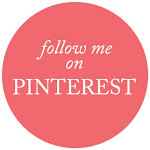 I'm adding new things daily! Time for a new challenge from the DCRU DT Blog. This week we are having a color challenge based on the My Mind's Eye Lush Collection. Visit DCRU for the list of colors and to view the Lush Collection. My color was green and I "love" the new Lush Papers! And this week a lucky winner will receive samples of the Lush Collection from the one and only My Mind's Eye. That's right, they're sponsoring this week's challenge and DCRU will be using Random Generator to pick the winner of this wonderful prize! All you have to do is play along for a chance to win. 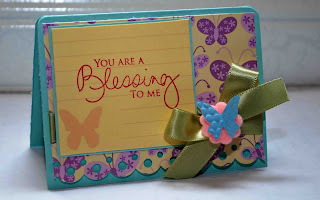 I used the MME's Lush Collection Patterned Paper, PTI Stamps and Ribbon. Visit the DCRU Blog to see the Design Teams beautiful creations. Be sure to link your project to Mr. Linky! The winner will receive a $15 shopping spree at the Frenzified Store and a special not yet released image. 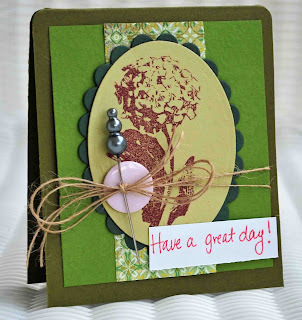 I used Papertrey Ink Stamps, Patterned Paper and Cardstock, Ink and Button. I also used my Copics and Spellbinder Nestabilities. 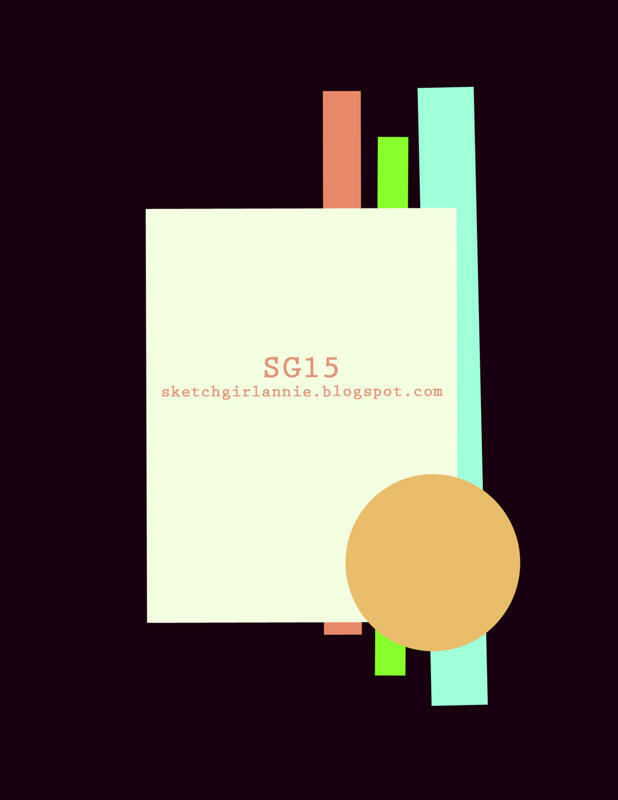 Visit Sketch Girl and share your sketchy creation. Be sure to leave the link in comments! I used Penny Black Stamps, Prism Cardstock, Copics, BG Origins Papers and Buttons that can all be found at the Paper Garden Projects Store. 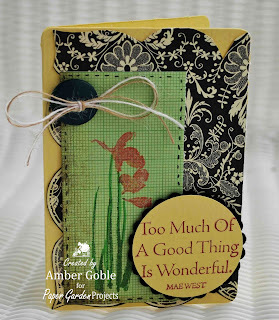 Visit the Paper Garden Projects Blog and leave a comment with your link for a chance to win! It was a gorgeous day here in Kentucky. Temperatures in the 70's and so much beautiful sunshine. My little farm animals just loved it and sunned all day. 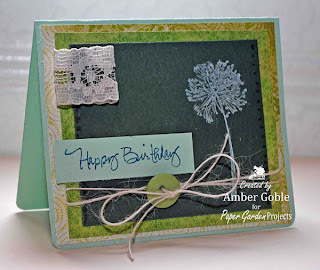 I used a Penny Black Stamp, Prism Cardstock, and BG Origins Papers that can all be found at the Paper Garden Projects Store. I also used PTI Ink, Twine, and buttons. And I used Spellbinder Nestabilities that can be found at the DCRU Store. There is a sweet lady named Crystal who was recently diagnosed with cancer. She is just starting her treatments and is in need of a little encouragement. If anyone is interested in sending her a card, please leave a comment and I'll e-mail you the information. Time for a new challenge at the DCRU DT Blog. 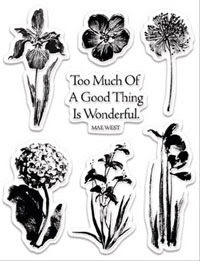 This week's challenge is to make a card, project, or LO and create a paper flower to use on your creation. So fun since flowers are everywhere these days. This card is a bit more distressed and "messy" than I usually make. So I wasn't sure about it at first, but decided to stick with it. I used Basic Grey Origins Patterned Papers, Mays Art Ribbon, Dew Drops, Unity Stamps, and Spellbinder Nestabilities Large Scalloped Border. All of these products are available at DCRU. Check out the DCRU DT Blog for beautiful inspiration from the DT! It has been beautiful in the mountains of Kentucky the past few days. And suppose to be near 70 degrees tomorrow, can't wait to spend time outdoors! 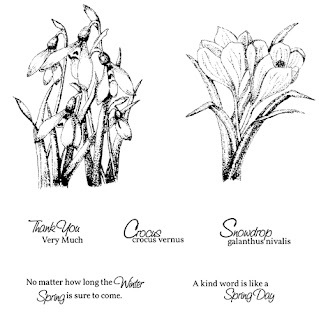 March is a very special month for Paper Garden Projects. Happy Birthday - 2 years old! And we are celebrating all month long. There will be a lot of giveaways, freebies, fun, plus a DT Call! 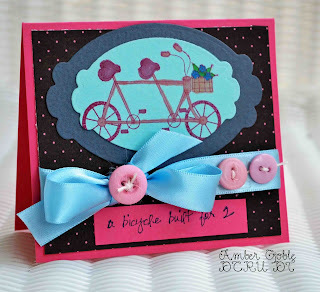 The first challenge for the month is very simple, make a birthday card. 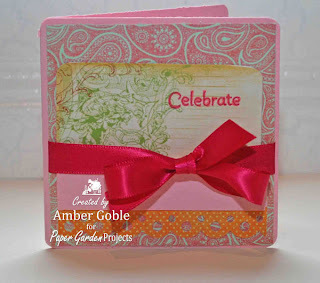 All you have to do is link it to the challenge post at PGP's Blog for a chance to win 2 Mo Manning Clear Stamps. I used my Impression Obsession Stamp. 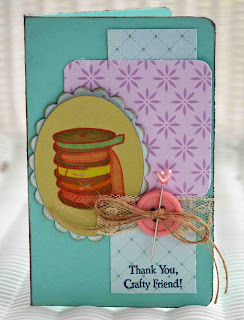 If you've never used a background stamp it is really a "must try" for stampers. They are so easy and cover such a large space. 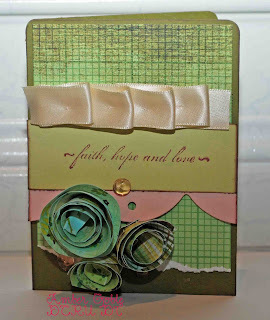 I also used Prism Cardstock and Basic Grey Sugar Rush Paper from Paper Garden Projects. 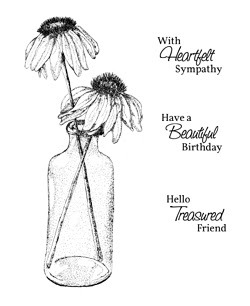 For my next card I used a Penny Black Stamp Set called Beautiful Flower Silhouettes. 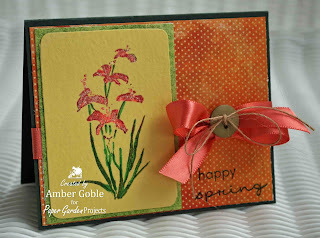 This stamp set is amazing and so Springy! I used Prism Cardstock, Basic Grey Origins Papers, and Buttons from Paper Garden Projects. If you are interested in becoming a member of the PGP Design Team check out the Design Team Call. 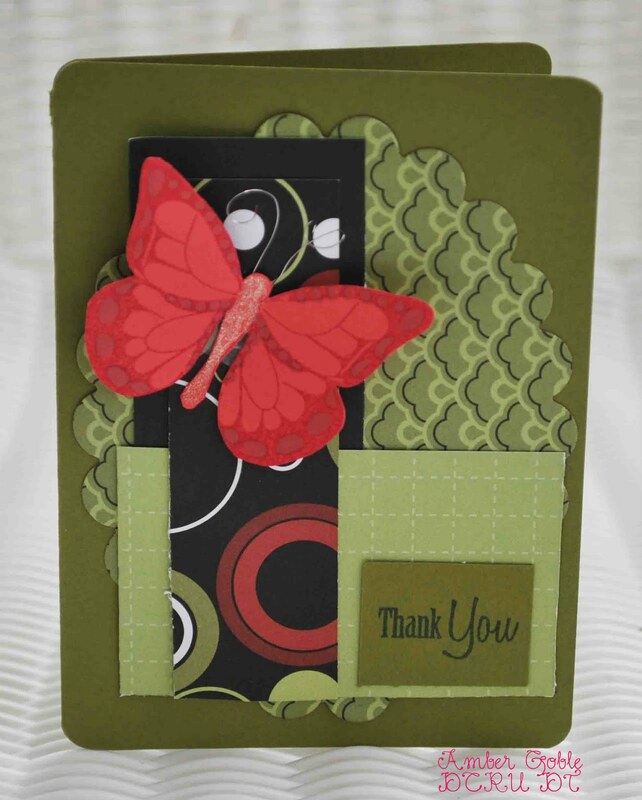 Click this link to Paper Garden Projects for the free download.